We use the most up to date treatments available and have several "Credentialed Wood Destroying Inspectors" on staff. 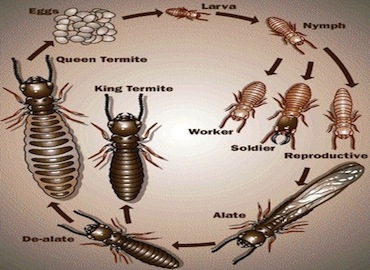 Compared to all other pests that disturb homeowners, few are more dangerous than the termite. Termites can single-handedly destroy a dwelling's very foundation in just a year or so. To eliminate termites, you'll first need to locate the infestation. Once located you can use extermination techniques like cardboard traps, heat, beneficial nematodes and cold to challenge the infestation. Your home is probably the largest investment you've made, so it's important to remove your house of termites as soon as possible.